As a professional user I have been dealing with melee for many years. 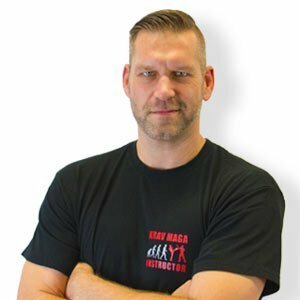 In Krav Maga I am delighted by the relative simplicity of the techniques combined with natural reflexes and the continuous development based on current experience. In my opinion, Krav Maga is something for me, because much more is conveyed than just fighting or defense techniques: ‘Situational Awareness’, the feeling for potentially dangerous situations, nonviolent conflict resolution strategies, and when it comes to it, the ‘warrior mindset’ that violence can be a solution and giving up is never an option.